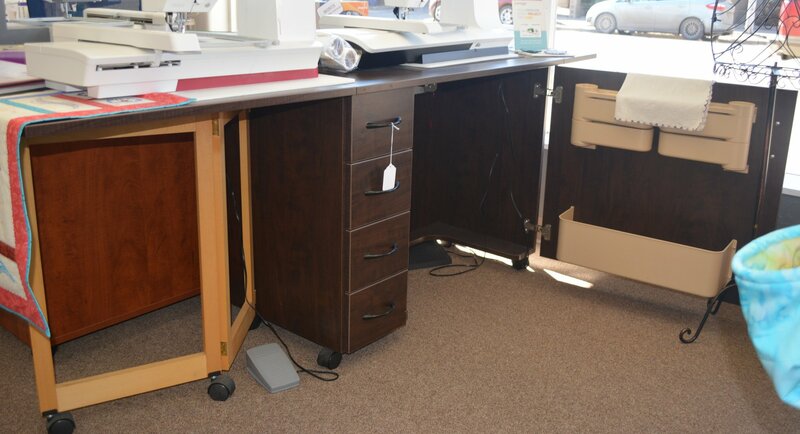 Quilting Cabinet with Extensions. Large machine opening: 26" x 12 1/2". Open Dimension: 78 3/4"W x 39 3/4"D x 29 3/4"H.